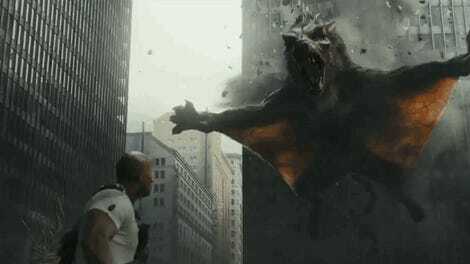 Dwayne “The Rock” Johnson, observing a werewolf with wings in Rampage. But you know, in a totally serious and grounded way. With heart. Video game movie adaptations have had a rocky history—whether or not they adhere to the fiction of the games their inspired by, or do something totally different and just slap the source material’s name on it. 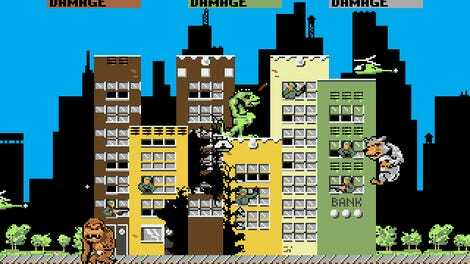 But apparently, Rampage director Brad Peyton refused to even sign on if the movie even considered going with the arcade classic’s original premise. Let’s just say I said no to ‘Rock-zilla’ [laughs]. It was presented in a room much like this and I was like, ‘That’s a hard pass from me.’ That sounds really not grounded at all. It’s like a Saturday Night Live skit a little bit. I wanted to balance out some kind of grounding aspect with the fun, you know. So like Marvel is a tone that I really go, ‘Okay that’s the zone.’ The villains are fun. I have these two rich billionaires, and one is like an ice queen, super-intelligent, cunning [played by Malin Ackerman], and then her brother is like the over-weight guy who can’t figure out how to work the keyboard. Those are the villains! Those are the bad guys in the movies. Again, I grew up on Jurassic Park, or like the way Marvel has fun I was like, ‘I wanna do that,’ but I also don’t want ‘Rock-zilla.’ I wanna have fun but I also need it to have heart and feel grounded on some level. Because I bet what people are exactly looking for in a movie adaptation of an ‘80s arcade game is some grounded realism. 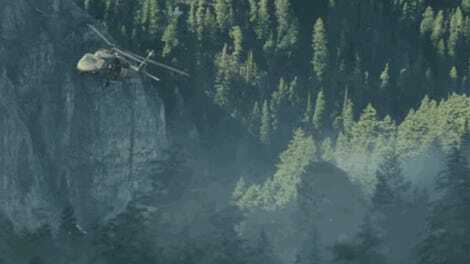 Is “grounded” such a movie buzzword right now that it has to be so strictly applied to a movie about giant monsters based off of a three-decade-old video game? I think when you’re at the point where you’re so desperate to take a brand name and turn it into a blockbuster epic that you’re going for Rampage in the first place, any pretense of wanting to make something grounded and real has long been ceremonially punted out of the nearest window. Have some fun with it! 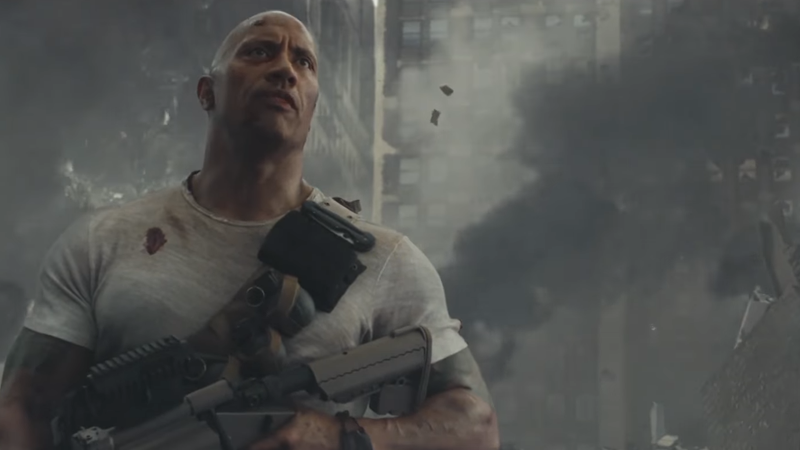 At least the Rampage we’re getting looks plenty silly enough—it’s got The Rock running around as the world’s beefiest primatologist, for crying out loud. But don’t try to pitch it as being above its deeply, delightfully non-grounded origins.